AMD Radeon VII is out now with 7nm process and will hit markets in February 2019! AMD Radeon VII has been announced with catchy looks and performance! At CES 2019 held at Las Vegas, Advanced Micro Devices (AMD) revealed its newest GPU. 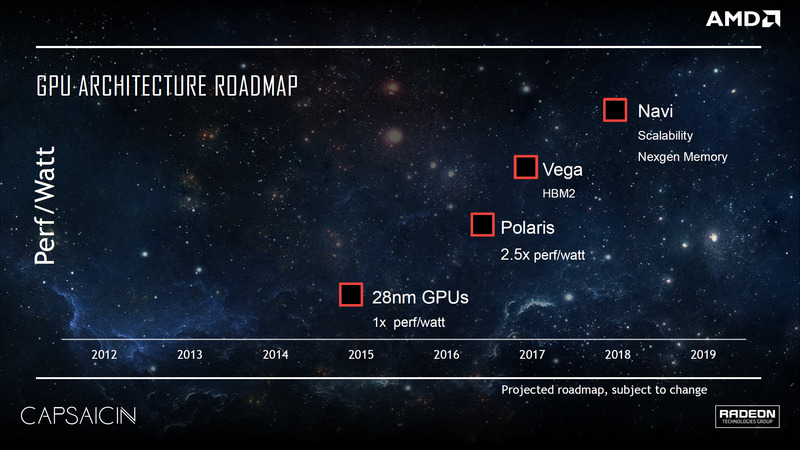 AMD has unleashed the world’s first 7nm GPU and it promises much better performance from its predecessors and its rivals as well. According to Team Red, new GPU is Radeon VII and is better from its last year flagship Vega 64. Last year Advanced Micro Devices (AMD) teased out its new architecture which is called ‘Navi’ architecture. This new architecture was all about smaller die size of the only 7nm i.e. the size of one transistor in the chip is 7nm. This allows to fit a number of transistors in one single chip and hence increases the performance. So keeping up to its announcement AMD has finally announced new GPU called Radeon VII. The new GPU is called Radeon VII (roman number for 7). The new GPU sports the all-new 7nm architecture, PCIe 4.0 for faster bandwidth speed, HBM2 memory and a lot more. Radeon VII is named so because of its 7nm process which is first in the world. AMD had announced its 7nm process on FinFet technology last year. Read our full article here. The AMD Radeon VII is based on AMD’s second-generation Vega graphics card architecture and is manufactured on TSMC (Taiwan Semiconductor Corporation) 7nm FinFET process. AMD has equipped the Radeon VII with 16GB of high-performance HBM2 (High Bandwidth Memory) on a 4096-bit memory interface. AMD stated that the Radeon VII is capable of churning out 1 TB/s of memory bandwidth, which is double the bandwidth of the Radeon RX Vega 64. Thanks to all new PCIe 4.0 interface. The memory is clocked at 2,000MHz to hit the throughput. Although Radeon VII is not equipped with ray tracing core like its arch-rival RTX 2080, AMD has stated that it can still handle ray-tracing tasks and even better than its rival RTX graphics. The AMD Radeon VII has HBM2 (High-Bandwidth Memory Generation 2) memory, it’s going to have some appeal for creative and professional users but of course, its gaming performance will be at par. Luckily, the Radeon VII will be supported under Linux on launch. After the debut of PCIe 4.0 it is a hint for upcoming technologies and devices which will ship with even greater speed. It may be the start of the revolution because of this new technology. There will be more GPU set to be launched with these set of new technology which will help AMD to tackle Nvidia’s Ray-Tracing Cards. Right now AMD has announced that it will not release Crossfire support for it and it is also relevant as 32 GB of VRAM is not relevant, or is it? Further, Radeon VII is set to hit markets on February 7, 2019, and will cost around $700 or £550 or INR 50,000 which is quite a relevant price for the performance offered. What are your views for this GPU? What are your views on this article? Let us know in the comment section.